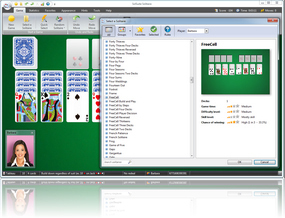 682 fun and easy solitaire card games! 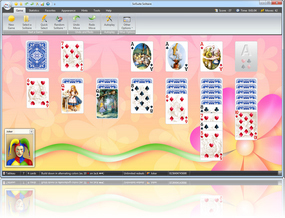 All your favorite games are implemented: Spider, Klondike, FreeCell, Pyramid, Golf, Busy Aces, Canfield, Forty Thieves, Four Seasons, Carpet, Flower Garden, Rouge et Noir, Monte Carlo... and original solitaires that you cannot find elsewhere. 29 Spider solitaire card games variations: Ant, Coleopter, Joker Scorpion, King Edward, Mantis, Mrs Mop, Rouge et Noir, Scarab, Scorpion, Scorpion Four Decks, Scorpion Three Decks, Scorpion Two Decks, ScorpionCell, Simple Simon, Spider Build and Play, Spider Reversed, Spider Solitaire, Spider Solitaire Four Decks, Spider Solitaire One Suit, Spider Solitaire Three Decks, Spider Solitaire Two Suit, Spiderette, Wasp, Will o' the Wisp. 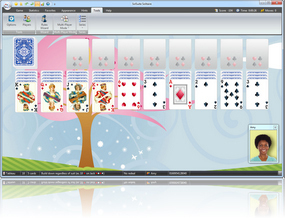 19 FreeCell solitaire card games variations: Baker's Game, Baker's Game Build and Play, Eight Off, Foxtrot, FreeCell, FreeCell Build and Play, FreeCell By Steps, FreeCell Four Decks, FreeCell Player Decision, FreeCell Reversed, FreeCell Three Decks, FreeCell Two Decks, Hidden FreeCell, Joker FreeCell, Penguin, Sea Towers and Stalactites. 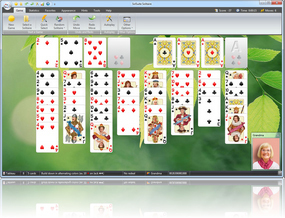 31 Klondike solitaire card games variations: Agnes I, Agnes II, Batsford, Blind Alleys, Canister, Carlton, Double Easthaven, Double Klondike, Easthaven, Gargantua, Giant, Harp, Joker Klondike, King Albert, Klondike, Klondike by Threes, Klondike Four Decks, Klondike Reversed, Klondike Three Decks, Milligan Harp, Miss Milligan, Raglan, Somerset, Steps, Titan, Whitehead, Thieves of Egypt, Westcliff and Whitehead. 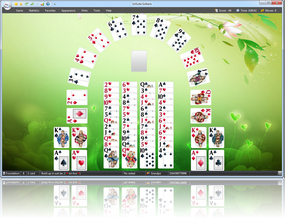 24 other solitaire games types! Copyright © 1997-2018 TreeCardGames and its licensors. All rights reserved.